This week I discovered Pinterest for Business! I've had a personal Pinterest account for some time, but now you can have a Pinterest account with boards dedicated to your business. 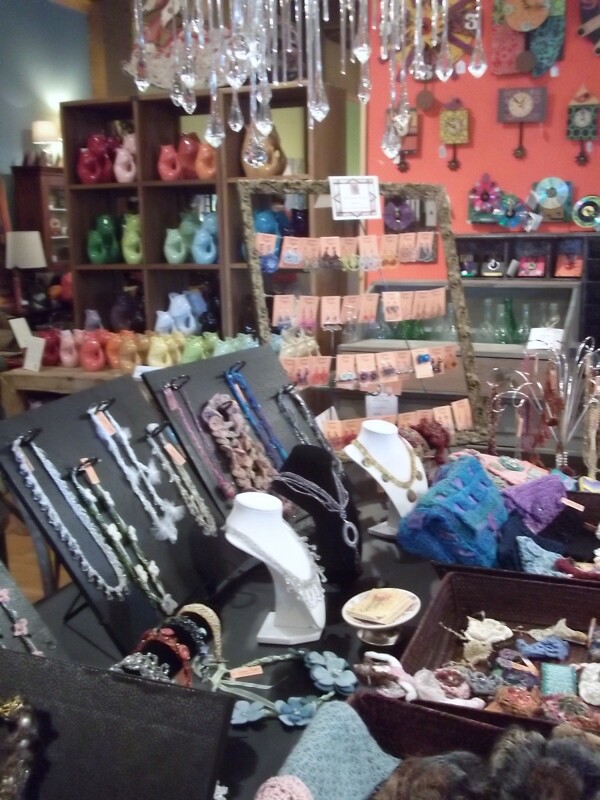 I opened an account for Gossamer Tangles and I have three Boards started: Necklaces, Bracelets and Cuffs, and Earrings. After following a great tutorial by "Southern Speakers" about how to add a "pin it" button to a Blogger blog that uses the "dynamic views" template (which this one does), I've managed to add a "pin it" button to the top of the home page of this blog. This will allow you to pin content from the Gossamer Tangles blog to your Pinterest boards, if you wish. When I get my new blog format set up, I should be able to include a "pin it" button on each individual post. To change gears a bit... I am so excited!! I was accepted for the Spring Artist's Market at Leon and Lulu in Clawson, Michigan. I will be there Sunday, March 10, 2013 and Monday, March 11, 2013. It is such a wonderful and unique store, and such a fun, upbeat place for an Artist's Market! I was there for the Spring 2012 event. As always, the market will benefit Cass Community Services, an organization that provides food, shelter, health services, and employment help to the homeless in metro Detroit. The Detroit Free Press reported in today's Homestyle section that Leon and Lulu is one of the 10 finalists for the Dallas Market Center's Next Big Give, a national contest honoring retailers that make a difference in their communities. Coming next week -- photos and details about my new studio/work room. It is almost done!